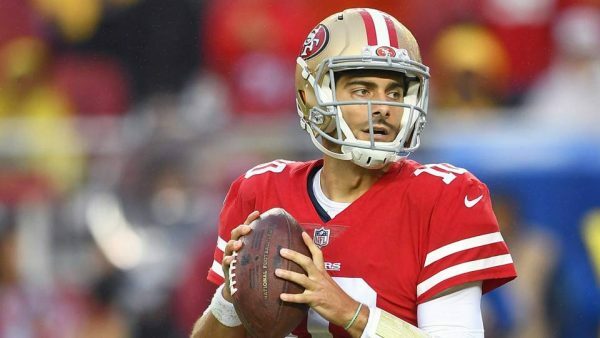 49ers saw little of their franchise quarterback-to-be Jimmy Garoppolo in his first full season with the team in 2018. A season-ending ACL injury in Week 3 kept the Niners quarterback out of our sights and minds. Three months later, that prognosis remains the same, this time delivered by Niners general manager John Lynch, Jeremy Bergman of NFL.com reports. Lynch said that Garoppolo and running back Jerick McKinnon, San Francisco’s two big offseason signings who both suffered season-ending knee injuries, are competing in rehab to out-recover one another. Garoppolo has started just 10 career games and eight in San Francisco. 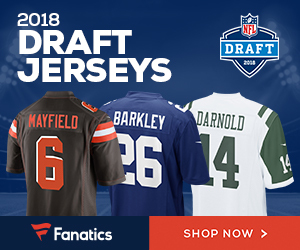 After New England traded him cross-country ahead of the 2017 trade deadline, Garoppolo’s five stellar starts, all wins, earned him a five-year, $137.5 million extension. Whether Jimmy G was worth the investment depends on how he recovers from ACL surgery and plays in a full 16-game slate. Be the first to comment on "San Francisco 49’ers Hopeful QB Jimmy Garoppolo Can Take Part in OTA’s"